ShortScale :: View topic - Anyone have pics of a Burgundy Mist Mustang? 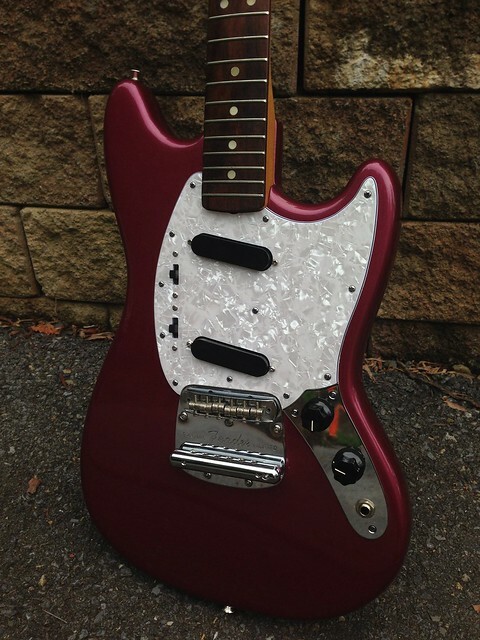 Anyone have pics of a Burgundy Mist Mustang? Posted: Tue Mar 25, 2014 12:44 am Post subject: Anyone have pics of a Burgundy Mist Mustang? There's a raffle for one in the Classifieds section; you'll need to post more to access it, though. Anyone want to post a picture of it? Or is that against the rules and I should be ashamed. I have no interest in buying it or winning it in a forum lottery or whatever. I think burgundy mist is my favourite colour at the moment. Same here, I'm torn between a 50th anniversary Jaguar in BM or refinishing a Mustang the color. Burgundy Mist looks lovely on everything, really. I like that color way more on a mustang than a jag, I think. The Fender Custom Shop did a "color wall" of Mustangs for the NAMM show a couple of years ago - there was a Mustang in pretty much every custom color that Fender offered in the 60s on display. Burgundy Mist does look great on a Mustang. It's a cool color that you don't see very often. Perfect colour for a Mustang! I guess it's the one between the pink and the fiesta red, both at the top right and bottom middle/left. "wallog" sondz like the screenname of the next 50 posts in 10 minutes loser to get into the classifieds. I love Burgundy Mist, its feminine and almost pink, which are two of my favourite things. 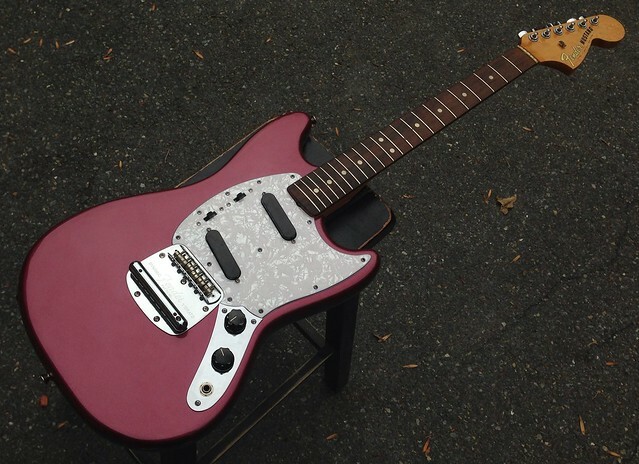 I didn't used to pay much attention to Burgundy Mist.............until I got my BMM 50th Anni Jag. Really like it though - especially on the offset models. Also love that pic of all the custom color Mustangs!